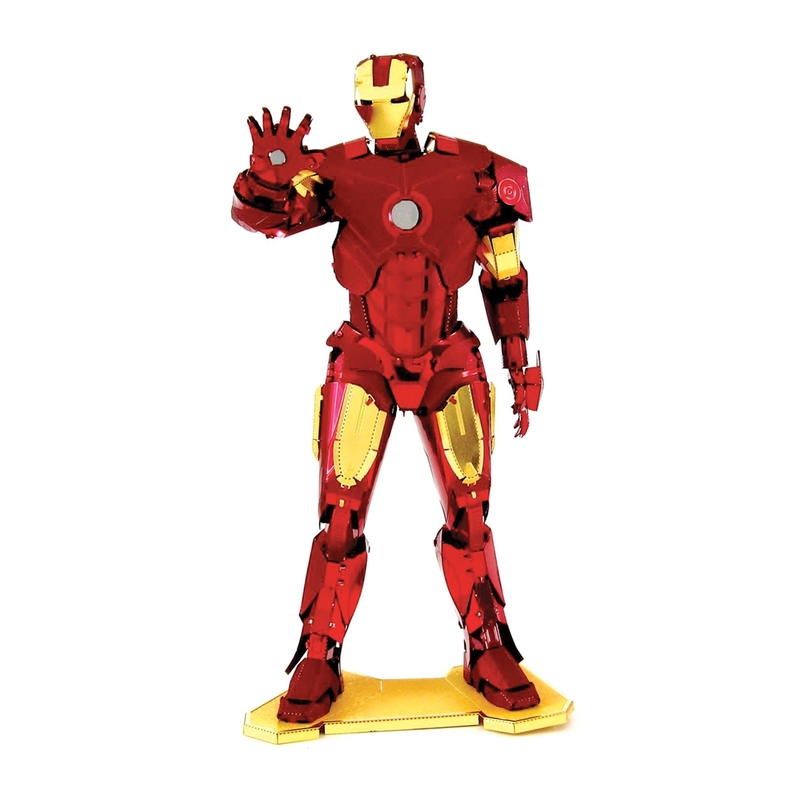 METAL 3D LAZER CUT MODEL Iron Man Wounded, captured and forced to build a weapon by his enemies, billionaire industrialist Tony Stark instead created an advanced suit of armor to save his life and escape captivity. Now with a new outlook on life, Tony uses his money and intelligence to make the world a safe, better place as Iron Man. Number of sheets: 3 Sheets Difficulty: Challenging Assembled Size: 4.75" x 2.25" x 2.5"